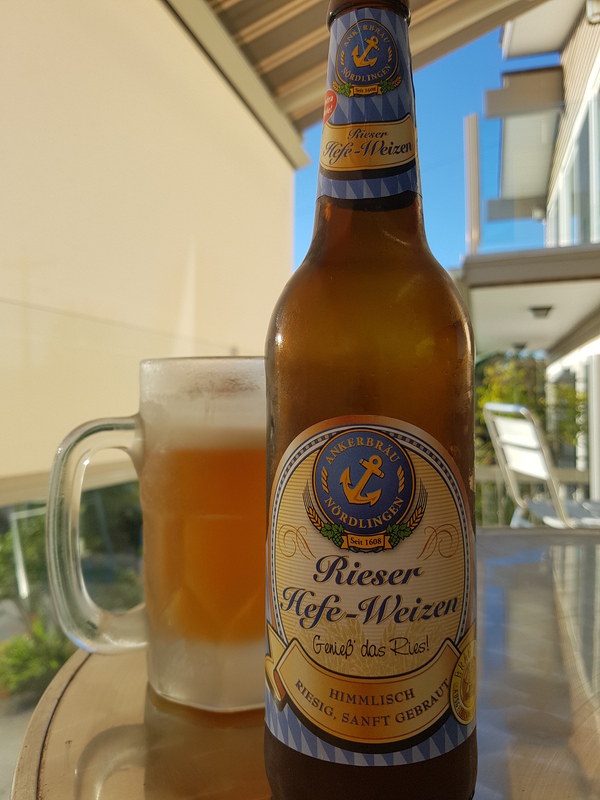 Rieser Hefe-Weisen – Ankerbräu Nördlingen (Germany) | Justintoxicated. Visual: (cellared for 5 years). Pours cloudy orange with a small 2mm head, scattered steady loose streams. Summary: Crisp and clean, pretty average body and taste. Apple wheat-barley grainy, not too special. Meal beer.